Today is brought to you by the letter "W"! Ahhhhh....watermelon! The iconic food symbol of summer! 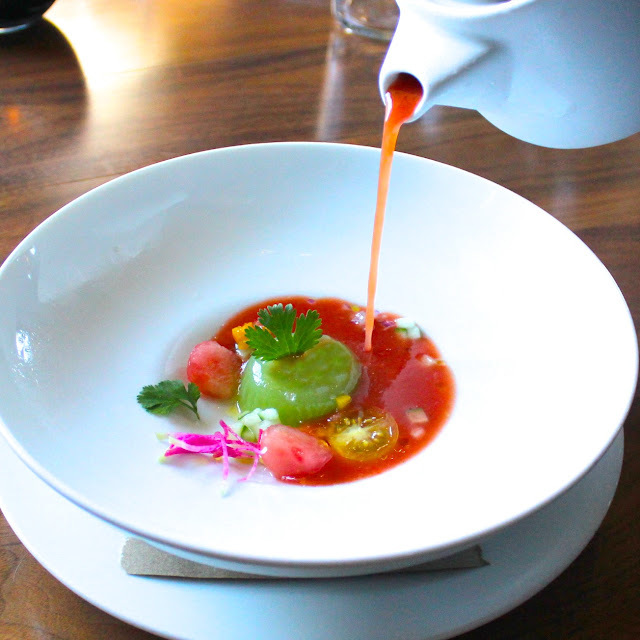 Our restaurants use plenty of watermelon when the season hits! 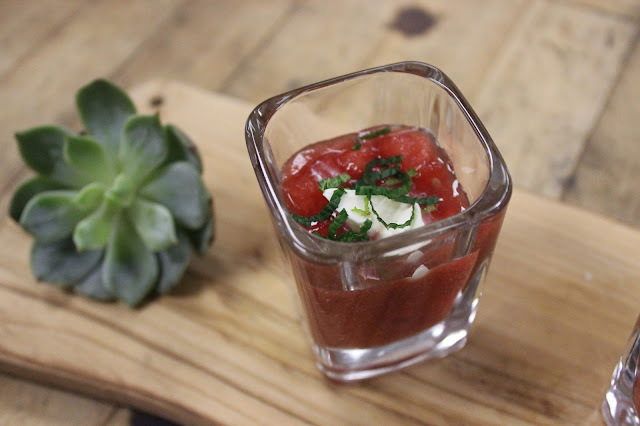 Here in a simply gorgeous chilled watermelon soup! And finally - blended with cucumber and wine for a refreshing cucumber-watermelon sangria! Come back tomorrow to see what we have in store for the letter "X"! Your photos continue to amaze me ~ they are beautiful! These make me forget that I don't like cold soup or gazpacho and I want to try them! I don't drink but that sangria looks deeeeeelicious! I love watermelon. It's so thirst quenching. It's dinner, yum, chilled watermelon soup, bring it on! oh you had me at watermelon! I love it pretty much any way you want to serve it up. And those photos just make me want to try them all!